Providing you the best range of health and personal care products, anti allergic fabric and dupont tyvek coveralls with effective & timely delivery. Widely reckoned in the medical industry, our Health and Personal Care Products are proven to be highly effective in their use. 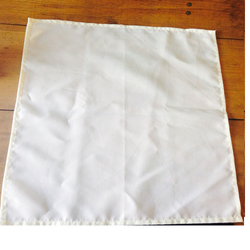 These products are used on mattresses, pillows, quilts, curtains and aprons for reducing the dust mites. A major cause of asthma and allergy, these dust mites contribute to 10% of total weight of a pillow, quilt or mattress. Scientifically proved, these products also protect the workers and personnel from several hazardous gases and chemicals in the processing industries. Other than this, in food processing and clean room applications, these prevent human contamination of products. With excellent properties like low linting, 100% chemical free, contamination free, chemical resistance, ultra- smooth surface repelling inorganic liquids and many other make these products wide in demand in medical and healthcare industry. 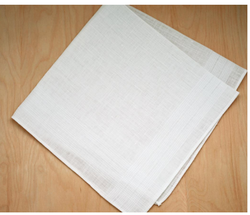 DuPont Tyvek Anti Allergic Fabric is recognized and acclaimed across the world for its high quality standards and ensure peak performance in a variety of industries ranging from Healthcare and medical, protective apparel, construction and envelopes to medical packaging, covers and graphics. We have successfully converted this amazing material into various healthcare products viz. Mattress and Pillow protectors, Clinical Bed Cover, Curtains, and Aprons, and take great pride in introducing it to you. These products with high medical values, when duly branded can be a very powerful promotional tool. Touch any garment from the comprehensive DuPont TYVEK product range, such as TYVEK Classic, and you will notice the difference. It is a unique and versatile material that is tough, yet extremely light and soft. 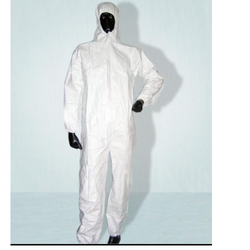 Dupont Tyvek Coveralls was invented and is manufactured exclusively by DuPont. TYVEK is air and water vapour permeable, yet repels water-based liquids and aerosols. It acts as an excellent barrier against particles and fibers. It is low-lint and also antistatic treated. Therefore it also helps to prevent human contamination of products and processes in clean-room environments. Protection: High particulate, spray and splash barrier.